Palace Wellness, Badrutt’s Palace Hotel is one of the most luxurious spas in the Swiss Alps, is set to launch their ‘Gentlemenu‘, a selection of bespoke treatments for men, ranging from Masculine Facial treatments and Manicures to Deep Hydration Beard Rituals. For a sleeker finish, the Oxygen Facial by Intraceuticals has been designed to combat the tell-tale signs of ageing. A hydrating serum is massaged into the skin using lightly pressurised oxygen, smoothing fine lines and reducing the appearance of wrinkles. Proving the Alps isn’t just for adrenaline-seeking skiers, the ‘Gentlemenu’ includes a top-to-toe cleansing Revive and Restore treatment. 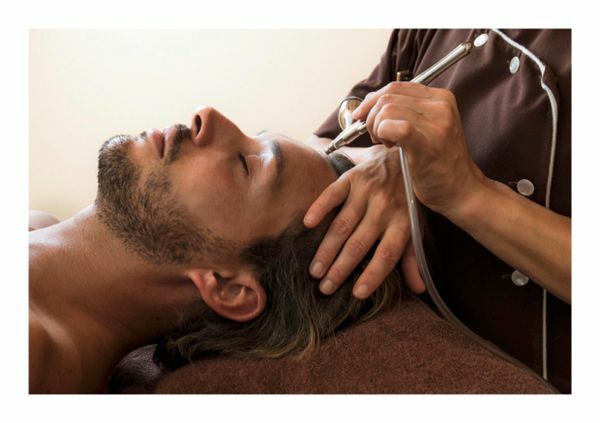 An invigorating full body massage, revitalising a dull complexion and rubbing away exercised-induced knots, is followed by a facial, blended for tougher male skin. The Gentlemen’s Pedicure includes a detailed nail and foot care ritual, complete with aromatherapy foot massage, relieving fatigue and fluid retention after a day slicing the snow. Built into the mountainside, Palace Wellness has a menu of treatments inspired by the natural beauty and grace of St Moritz’s Engadin Mountains. The Spa – including both indoor and outdoor swimming pools – enjoy unrivalled views of the surrounding tree-lined mountainside and snow-peppered peaks.